Size is currently out of stock! A world of adventure, discovery and wonder! 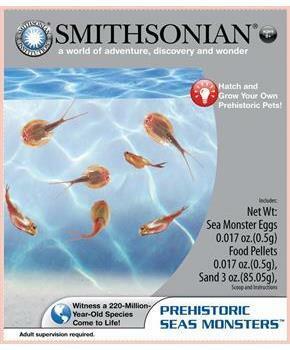 Hatch prehistoric triops by simply adding water with the Smithsonian Micro Prehistoric Sea Monster Science Kit! Feed them and watch them grow. Get your quick science fix with this micro version of the everyday product. Kit includes .017 oz Sea Monster Eggs, .017 oz Food Pellets, 3 oz Sand, Scoop and Instructions. 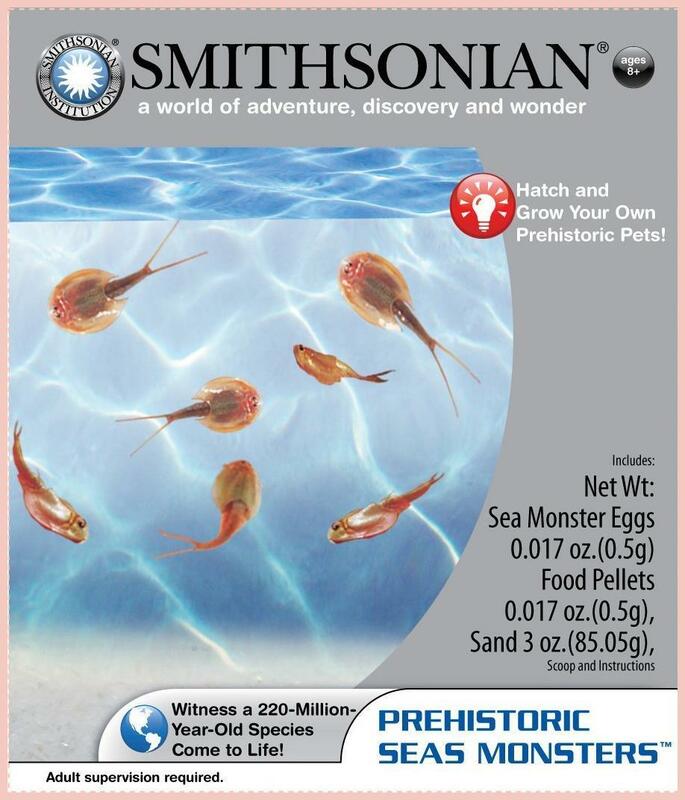 Hatch prehistoric triops by simply adding water with the Smithsonian Micro Prehistoric Sea Monster Science Kit! Feed them and watch them grow. Kit includes .017 oz Sea Monster Eggs, .017 oz Food Pellets, 3 oz Sand, Scoop and Instructions. Witness a 220-million-year-old species come to life! A world of adventure, discovery and wonder!